The RIDGE Blog is where we share stories about Gap semesters in the Rocky Mountains. Our students train and live like mountain athletes at our campus in Whitefish, Montana. Stoke was high among The RIDGE Crew as we prepared to depart for Golden, Canada where we would ice climb for three days. As soon as we arrived, we knew we were in for a good time! The wonderful bed and breakfast we stayed at was full of first-class amenities: a hot tub, sauna, and wonderful hosts who baked various treats for us throughout our stay. Our guide, Andrew, arrived a few hours after us, and the trip was on. “I’m so excited for today,” said student/athlete Chase Taylor as we threw our stuff in the van to drive an hour away to the pristine ice walls that are abundant in Canada. We arrived, put on our crampons, helmet, and packs and hiked forty-five minutes to get to our destination: a 100-foot ice wall where we would set up four different routes to attempt. I stepped up to the face of the wall, tied my double-figure eight knot that would secure me in my harness and threw my axe into the ice. The climb was slow and arduous, but I distinctly recall looking down at all of my peers and coaches standing below me shouting encouragement and thinking how proud of myself I am. Months ago, if someone had told me I would be hanging from a 100-foot ice wall-with only crampons, a pair of ice axes, and a harness to secure me-I would have thought them crazy. At nights, we would chill around the large dining room table, discuss events from that day, eat delicious food, and laugh loudly. We would then hit the hot tub or play card games until bedtime. Looking back, I can say with confidence that the ice climbing trip to Golden was a highlight of my RIDGE experience and definitely changed my opinion on climbing in general for the better! My name is Chase, and I am currently a student-athlete at RIDGE Mountain Academy. Yesterday, we had the chance to travel north to the Stonehill climbing area in the Kootenai National Forest. On Wednesdays, we typically either go into the backcountry or go uphill. Yet this Wednesday we had planned to ice climb. The weather has been the perfect recipe to build the strength of the ice at the local climbing spots around the Whitefish area. 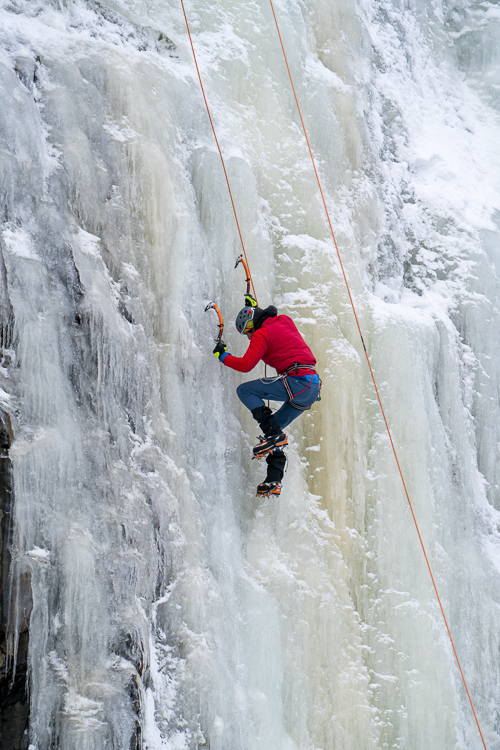 Not only is ice climbing fun and exhilarating, but it also gives us a chance to deviate from our usual schedule. On this trip to Stonehill, there were four routes set up of different ice faces of varying difficulty and length. Thanks to the help of our coaches, we safely climbed up some challenging climbing routes with the longest route being 150 feet in length. Personally, I had a lot of fun climbing up the ice. Although, it was only my second ice climbing trip, I still have a lot of learning to do. Since there were only four climbing routes and it is exhausting climbing all day, we spent time working on our photography skills as well as belaying our friends. Earlier in the day, Tyler, our photo and video coach, taught us a few more tips and tricks to improve our photography, so some of us practiced our new skills and took some great shots of ice climbing as well as the surrounding scenery. I am looking forward to an ice climbing trip coming up in a few weeks to Golden, British Columbia, for a long weekend with RIDGE. My name is Ethan, and I am a current RIDGE student. One of my favorite parts of being a part of the RIDGE Community is working with DREAM Adaptive. 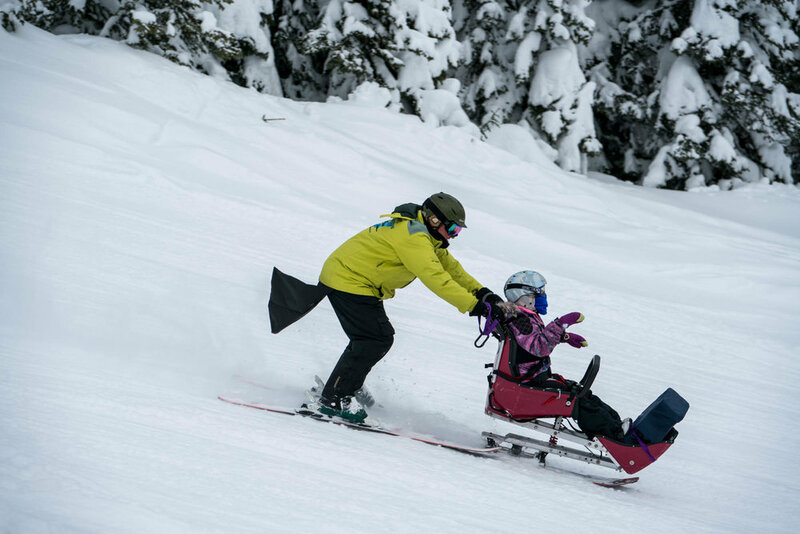 Every Thursday, RIDGE students are given the opportunity to engage with the Whitefish community by volunteering alongside locals to give kids and adults with physical or mental differences a chance to explore the outdoors and find value in being active, despite the challenges they face on a daily basis. At DREAM, I am given a chance to interact with kids every Thursday with physical or mental disabilities, and help them overcome their fears and have a great day. Although working with DREAM isn’t always as exciting or fast-paced as free-skiing, I find each day with DREAM very rewarding as I help the participants grow and become better skiers or snowboarders, all with smiles on their faces. 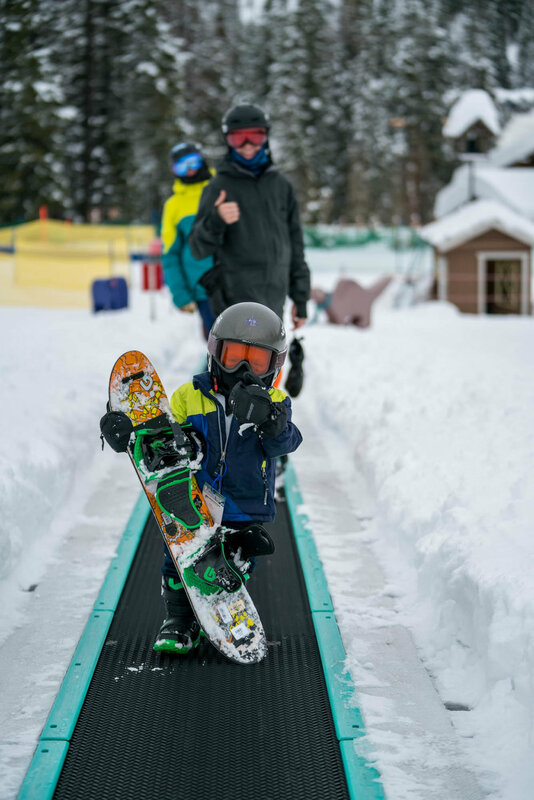 DREAM’s existence is a testament to the generosity of both Big Mountain and the generous locals, who provide money, time, and the much-needed space that enables dream to thrive as an affordable adaptive sports program. RIDGE’s involvement in DREAM allows us to get closer to the Whitefish community and adds meaning to the program. Because of DREAM, Ridge Students are not only given an opportunity to better themselves, but to also give a chance for others to do some of the things that so many of us take for granted. WHITEFISH is where Rocky Mountain ski culture meets the wild west. The town is known for its vibrant community, mountain culture, and it's epic ski seasons.